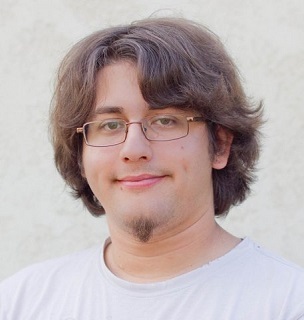 Matt Paulson is a technical writer and editor based out of Southern California. He covers the latest news about VoIP innovations, and how they are applied in a business setting. Session Initiation Protocol, commonly known as SIP trunking, is a crucial step to the process that makes cheap (and sometimes even free) phone calls over the Internet possible for businesses of all sizes. Phone calls made through the Internet avoid using the traditional landline phone system, and utilize a much simpler and less expensive phone switching system. The whole process is called Voice over Internet Protocol, or VoIP for short. A SIP trunk acts like a translator between traditional analog phone systems and Internet phone systems, and allows Internet phones to connect to regular phones. SIP trunks are “located” within the Internet instead of being tied to a specific location, which affords them certain advantages for things like long-distance and International calls as well. For those that are unfamiliar with Internet calling however, a SIP trunk is a very intimidating thing. SIP VoIP works by "dialing" a proxy server to connect a user’s IP network. Instead of using a telephone number, SIP VoIP phones use an IP address to locate the other end of the call. Because most IP addresses are dynamic (changing) rather than static (fixed),SIP VoIP will also "look for" a username on an IP network. Once it finds the other party's SIP VoIP phone, it connects the two users or forwards the caller to voicemail if the other party is already on the phone. SIP Trunks also utilize a business’s existing phone system, giving business owners the best of both worlds. If a business already has a Private Branch Exchange (PBX), they have the option to upgrade it to an IP-PBX phone system. This allows a business to expand their internal phone network to include phones from multiple offices instead of just at a single location, allowing for unlimited free phone calls between desks and even telecommuters. One of the best features of SIP trunks is the fact that they are shared between multiple phone lines. This means that a company only has to pay for as many SIP trunks as they have simultaneous phone calls during peak periods. As an example, a company may have 60 employees but only ever makes 6 simultaneous phone calls during peak hours. Instead of paying for 60 different phone lines, they can instead pay for just 6 SIP trunks to support the entire phone network. Making phone calls over the Internet is more than just a cheap alternative to landline telephony. Calls made with VoIP have a much higher audio quality than landlines do, and VoIP providers who offer SIP trunking often include several features absolutely free, like Caller ID and Voicemail services. As mentioned before, SIP trunks and VoIP have major advantages over traditional phone systems when it comes to international and long-distance calls. By utilizing the Internet instead of bulky telephone wires, geographic distance is removed from the equation almost entirely. Because of this, virtually all VoIP providers offer unlimited long distance calling nationwide, at no extra cost. SIP trunking connects business phone systems to the Internet, which opens up a whole new world of savings. In general, businesses that use SIP trunking as part of a VoIP phone system pay 50% to 80% less than they would for the same features from a landline phone system. It may seem intimidating at first, but switching to VoIP is one of the easiest ways for businesses to save money.